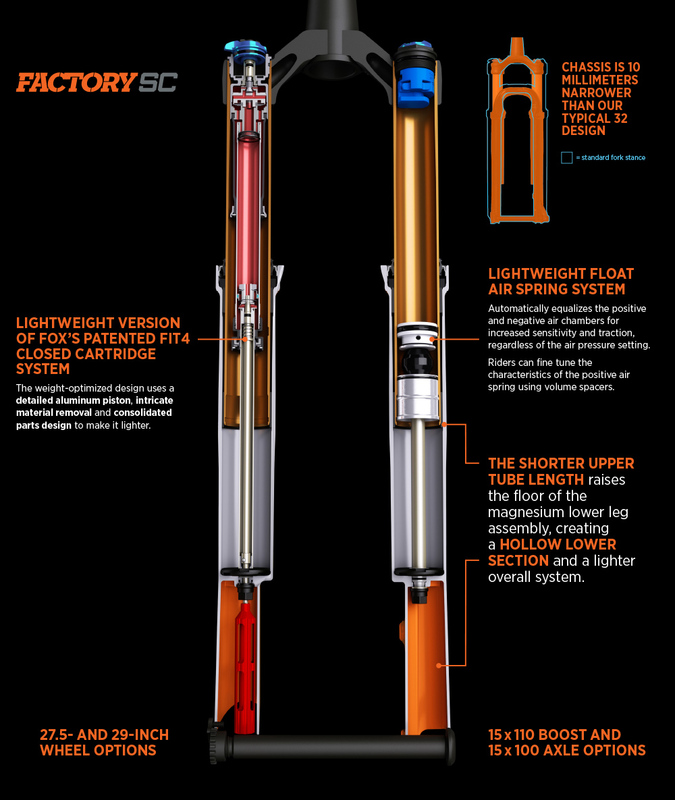 Now in its fourth generation, the patented FIT4 (FOX Isolated Technology) closed cartridge system provides three on-the-fly compression damping positionsâ€”Open, Medium, and Firmâ€”to adapt to varying trail conditions. Factory Series forks feature an additional 22 clicks of low-speed compression adjust in the Open mode, allowing riders to fine-tune their exact damping preferences. KABOLT 100....Working with Foxâ€™s Racing Applications Development team, Geoff Kabush asked for a lighter, bolt-on axle that would allow for quick wheels changes during a race. The Kabolt was born and soon other FOX athletes â€“ from enduro racers to slopestyle riders - were asking for it.